Below are some of the information that will explain how reputation works in our site. Below are some of the icons/pictures and what they mean when you use them. The image above shows everyone that when you press the plus (+) icon on each post you like a topic or post which was contributed by a member. The bar then turns green which means that you successfully liked a post. 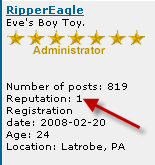 This will also give the member who posted the topic/subject points for his/her reputation. For every like that a member gets, they will see the points appear in their profile as shown in the above image. 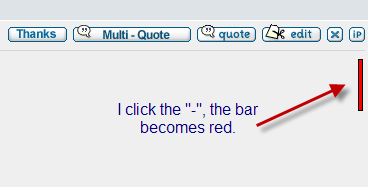 In the event that you click on the negative icon (-) this will bring a red bar for that post. Which means you have a negative on your repupation points. 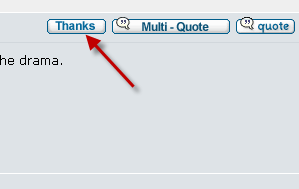 The Thanks Button gives every member a chance to thank a subposter or a member who replied to their post. This will also give points to that member. I hope this makes things clearer for everybody. I'm sure you'll get used to it. Happy earning points.